2017 was a year of ups and downs. With my reviewing hat on, I was especially pleased to make my debut at Minor Literature[s]. But I can’t escape the fact that this year was structured around illness as I’d never experienced before. It didn’t exactly stop me from reading, but it did have certain subtle effects on my reading choices, how I engaged with books, that sort of thing. So, 2017 was not a normal reading year. When I tried to put together my usual countdown of twelve, I wasn’t happy with it, couldn’t recommend everything wholeheartedly. Instead I’m going to stick to a few books which were first published this year. I’ve got three books written in English and two translated from Spanish. I’m listing them here in no particular order, but they’ve all given me the shiver up the spine that I get from my favourite fiction. 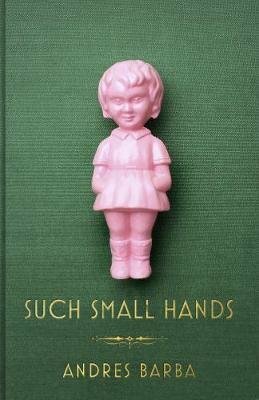 Such Small Hands by Andrés Barba, tr. Lisa Dillman. The claustrophobic tale of a young girl sent to an orphanage after losing her parents in a car crash. She barely has the language to describe her experiences, but her very individuality poses a threat to the other girls around her in the orphanage. The prose of Such Small Hands is beautifully – dangerously – fluid, as the mental worlds of its characters form and re-form. Probably the most intense piece of literature I read all year. The Photographer by Meike Ziervogel. The story of how a German family is broken when forced to flee west in 1945, then heals itself in the years after the war. This is novel structured as photo album: whole lives narrated intermittently, each scene a moment of experience adding to a greater whole. 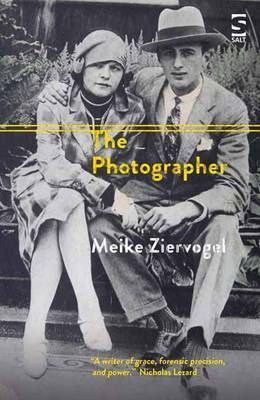 Ziervogel explores themes of image and appearance, and the individual within the sweep of history, all with a wonderful openness to her writing. Reservoir 13 by Jon McGregor. Oh, how I love Jon McGregor’s way with words, his ability to bring out the mystery within the everyday. In this novel, he starts with the disappearance of a teenage girl, and builds up, layer by layer, an extraordinary portrait of a rural community. A new year begins with each chapter; some faces go, others stay. The disappearance becomes another part of local lore; only nature retains any true semblance of constancy. The resulting work is spellbinding. 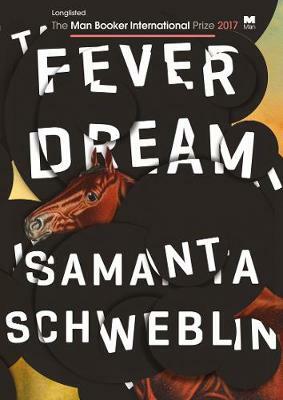 Fever Dream by Samanta Schweblin, tr. Megan McDowell. A discovery from this year’s Man Booker International Prize shadowing. Amanda is dying in hospital (or some dark liminal space) and talks to David, a child who is not her own. With David’s help, Amanda sorts through her memories of holidays, her own daughter, and a tale told by David’s mother (whom Amanda met on holiday). Fever Dream constantly shifts between levels of reality; it’s a thrilling ride. 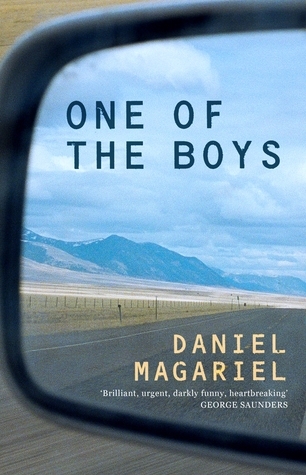 One of the Boys by Daniel Magariel. A portrait of a violent family relationship, in extreme close-up. When it’s clear he will gain custody of his sons, a father takes them from Kansas to New Mexico, promising that the three can be kids again. Life turns out to be very different, though. Magariel keeps the father-and-sons unit at the centre of view, which distorts how we see the novel’s world, and helps give the book its distinctive power. There are my recommendations for 2017; I hope you find something that interests you. You can also check out my previous best-of-year posts: 2016; 2015; 2014; 2013; 2012; 2011; 2010; and 2009. I’ll see you next year! Fever Dream was also one of my highlights and I got Such Small Hands for Christmas so I’m looking forward to reading it soon. Hope you have better health next year! It’s hard enough to deal with being unwell, without feeling that there’s pressure from the public space we bloggers write in. I’d like to wish you all the best for wherever 2018 takes you, and to thank you for the reviews you’ve shared. I’m sorry you had such a crap year. I hope this coming one is better. The Barba is on my own end of year list, and I have you to thank in part for my reading it. So, thank you! The McGregor is one I’d planned to skip, but seeing your praise on top of so much other praise makes me think I’m making a mistake. I’ll take another look. Belated thanks for your comment, Max! 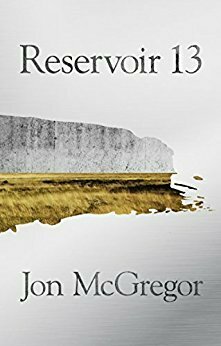 Do give Reservoir 13 a whirl, it really is excellent.